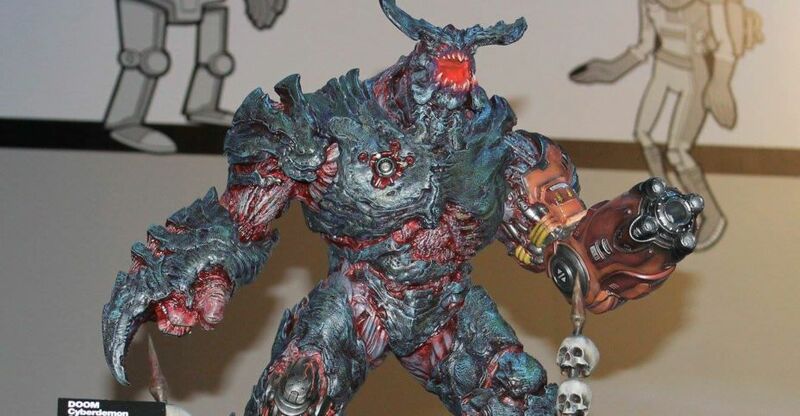 Gaming Heads has opened up pre-orders for their new Doom (2016) – Cyberdemon Statues. There will be three versions available. There’s a Regular Edition, an Exclusive Edition, and their Collective Edition. The Exclusive Edition features multiple light up LED’s, while the Collective Edition comes unpainted. The statue stands over 19″ tall atop a Hellscape themed statue base. Each edition is priced at $699.99, with optional payment plans available. The Cyberdemon Statue is scheduled for release in second quarter of 2019. Pre-order links, details and plenty of photos can be found after the jump. The Cybderdemon is the flagship creation of the Lazarus Project. 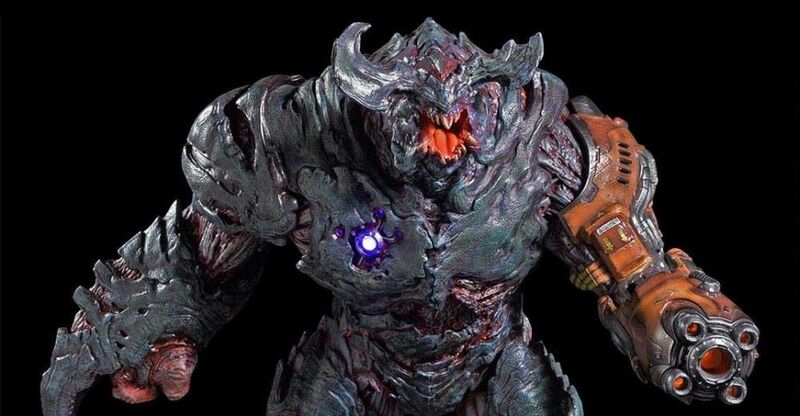 The Cyberdemon (exclusive) edition statue stands approximate 19″ tall and the combination rocket launcher and laser weapon in its left arm lights up. Thanks to forum member vgc2 for squinting to read the text. We’ll update with further photos and details as they become available. Click the banner image for the full photo.